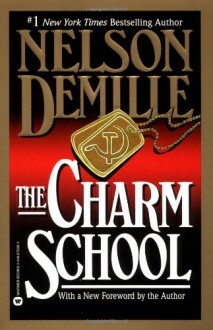 #1 New York Times bestselling author, Nelson DeMille, delivers an explosive thriller of international intrigue and high-voltage political tension set in contemporary Russia.On a dark road deep inside Russia, a young American tourist picks up a most unusual passenger a U.S. POW on the run with an incredible secret to reveal to an unsuspecting world. The secret concerns "The Charm School," a vast and astounding KGB conspiracy that stands poised against the very heartland of America. Arrayed against this renegade power of the Soviet state are three Americans: an Air Force officer, who will fly one last covert mission into the center of a mad experiment; an embassy liaison, who will have her hopes for a saner superpower balance brutally tested; and the chief of the CIA's Moscow station, who will find his intricate dance of destiny and death reaching its devastating conclusion.